You may remember when back in November 2015, Chef’d and Beyond Meat first started their cooperation. The two popular companies delighted their fans with the possibility to have the famous Beyond Meat Beast BBQ Kit and Beyond Meat Feisty Taco Box delivered via Chef’d. Now, they have prepared another great surprise for their customers. Five popular Beyond Meat items can now be ordered at Chef’d, completely commitment-free. Let us explore these new additions to the Chef’d menu, find out how much these pleasures cost, and see what the companies’ representatives have to say about this unique offer. 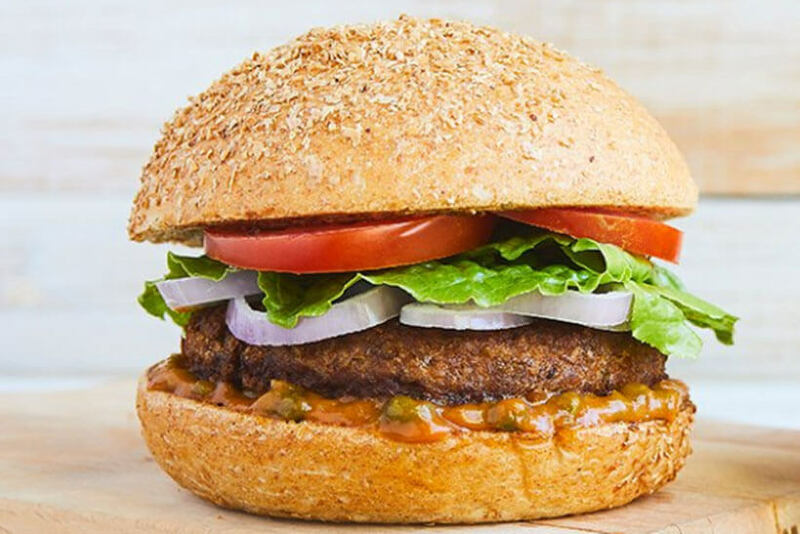 Beyond Meat kits currently available at Chef’d are sure to delight both fans of rich plant-based burgers and those who prefer lighter dishes. The kits include Classic Beyond Burger, Sautéed Mushroom And Onion Beyond Burger, Chinese Beyond Beef Crumbles Lettuce Cups, Beyond Beef Mexican Bowl, and Pesto Zucchini Noodles. All kits come in two sizes and yield 2 or 4 servings. The time it takes to prepare the meals ranges from 30 to 45 minutes. The prices of meal kits by Beyond Meat are not too extravagant and they are close to the average price of a Chef’d kit. With the most affordable dish, Chinese Beyond Beef Crumbles Lettuce Cups, you pay $26 for 2 servings and $33 for 4 servings. The burger kits for 2 people cost $28 while the 4-serving burger kits cost $43-$44. Two servings of Beyond Beef Mexican Bowl cost $32 and 4 servings cost $40. Pesto Zucchini Noodles for 2 people cost $33 and a 4-serving kit costs $42. Obviously, if you want to save cash, it is wise to order 4-serving kits and if your order amounts to $40+, you even get free shipping. By partnering with some of the greatest names in the food business, Chef’d brings an impressive range of meal kits to its happy customers and in this aspect, it remains superior to even the most popular meal kit services around. The cooperation with Beyond Meat is sure to thrill its customers on meat-free diets and the representatives of both companies seem to be greatly excited about it. According to the words of Kyle Ransford, the founder and CEO of Chef’d, these two companies have a shared commitment to innovation and the future of food, which is one of the reasons why they decided to form the partnership. The other important reason is that Beyond burgers are simply great burgers, which is why the Chef’d team is more than happy to offer its fans a new way to enjoy them. Ethan Brown, the founder and CEO of Beyond Meat, is equally enthusiastic about the partnership. He recently stated that Beyond Meat has been looking forward to the launch of this partnership and that the team is thrilled about it. Now that everyone within Chef’d delivery area can get their hands on Beyond Meat kits in just a few clicks, it is highly likely that the company’s customer base will grow even stronger. Only time will tell, but this seems like a pretty smart move and one that Beyond Meat and Chef’d customers on plant-based diets will greatly appreciate. 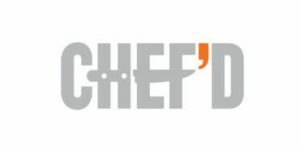 Chef’d is a unique meal kit delivery service that allows you to order a la carte or subscribe and pick one of its amazing meal plans created in partnership with the biggest food brands and associations. There are more than 400 dishes at your disposal and you can reorder your favorites whenever you wish. Find out more in this detailed Chef’d review.